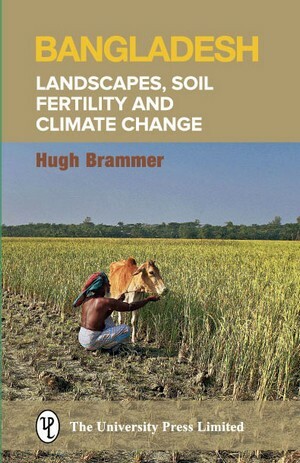 This book aims to puncture two popular myths: that Bangladesh is a flat alluvial plain where soil fertility is maintained by silt provided by annual floods; and that the country will be overwhelmed contour by contour by sea-level rise in the 21st century which will displace many million people. Bangladesh is one of the least developed countries in the World. The great majority of its people depend on agriculture for earning their living. Despite planned efforts by the government to increase agricultural productivity for more than three decades, the growth and output in this sector has not kept pace with the growth of population. This is a matter of great concern for the people as well as the policy makers of the country. 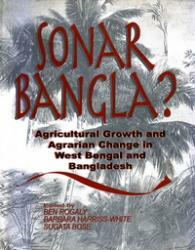 After decades of stagnation, Bengali agricultural output finally began to grow faster than the population from the mid-1980s onwards. 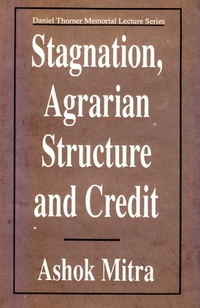 While this achievement has been widely heralded, there has been no effort to analyse in detail the reasons for and the consequences of agrarian change in the region. 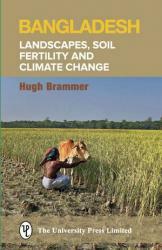 Providing a unique interdisciplinary synthesis, this volume— which draws chiefly upon micro studies of villages in West Bengal and Bangladesh—explores the complex causality between agricultural growth, government policy and local level practice, and agrarian social change. 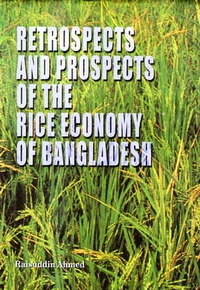 Rice is the staple food crop of Bangladesh. During the last four decades rice production has been transformed from a low input, traditional system to an intensive, high- yielding system relying on high inputs which has strongly influenced the incidence and abundance of rice pests. At the same time and during the same period, great strides were made in our understanding of the ecology of pests and therefore their management. We moved from a dependence on pesticides to an ecological approach based on the principles of integrated pest management (IPM). What have been the true achievements of the much discussed green revolutions in the Indian sub-continent? What coalition of political forces came to choose the advice of the technologists over those urging structural reforms as the solution to India's agrarian transformation? What have been the costs of a development strategy which has ignored the agrarian masses in favour of securing the political allegiance of a landed minority? With a rare clarity of vision, Prof. 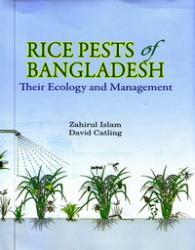 This book, second in a series of studies under a ‘Technology Choice Project’ at BIDS, examines in some depth the extent of technology transfer that has taken place in the Bangladesh Fertilizer Industry. It appears that the technology transfer process has remained more or less confined to the acquisition of production capability; that project preparation and appraisal were generally inadequate, and that local participation and implementation in project design was nil or negligible. 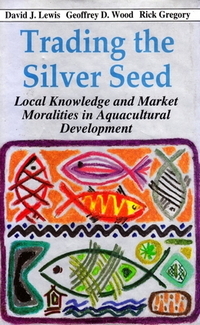 Trading the Over Seed is an interdisciplinary book about people and fish written by a sociologist, an anthropologist and an aquaculture scientist. Based on original research, this is the first study of social, economic and technical aspects of aquaculture in Bangladesh. The issues raised in this book are relevant to those with an interest in rural society in other countries. There are three main themes. 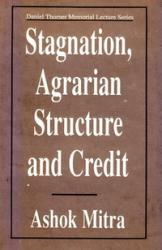 First, instead of trying to understand rural society via the different sets of actors involved in agricultural production (e.g. It used to be claimed, notably in developing counties, that imperfection of factor markets is the determinant factor in explaining unemployment and poverty. Solutions such as supply of inputs and land reform etc. were suggested. Yet in poorer countries the odds are, that even within a village and during a peak farm operation, the question of disguised unemployment is liable to be troublesome as these are time specific and water management specific. In Retrospects and Prospects of the Rice Economy of Bangladesh, Dr. Raisuddin Ahmed analyses and describes the progress in rice production during the last 20 years and the prospect of the rice economy in the first decade of the 21st century. 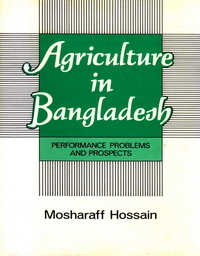 The book examines the magnitudes, variations and contributions of one hundred discrete organizational variables, two dummy variables and twenty five aggregate variables on the performance of agricultural extension organizations of Bangladesh. It presents a tested global model of management for maximizing the performance of Agricultural Extension Organizations. The study also presents 15 bivariates, 4 micro and 5 micro level multivariate management models of increasing performance of an Agricultural Extension Organization at Varying Degree of Probability.